The following were products of the Critical Literacy Skills Assessment that is attached. 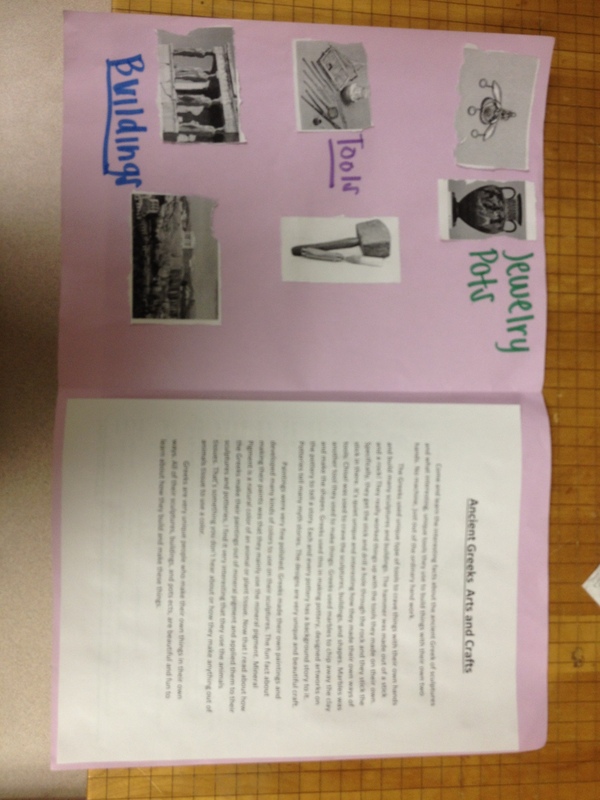 Students were required to use the comments section on this blog to evaluate the inquiry process for this assessment. What was easy about researching your inquiry question? What was difficult about the research? Did you find enough information about your inquiry? Why or why not? Would you ever think to study about the Greek culture? Yes… you are in the correct spot. Answer the questions here! – The easy part about researching my inquiry question is probably just making the little flyer.. there wasn’t much for me to research. – I think the difficult part about the research is trying to look up information and finding away to convince people to come learn about Greek mythology. – No , not really. All my flyer said was come learn about Greek Mythology and saying there was going to be free food. – How i would like to improve my research for projects in the future is probably taking my time and actual do the research and finding more information. 1.got to find interesting information. 1)It was some what easy. 2)I really didn’t have a question in the beginning so I got a late start. 3)I feel like i did but im really not sure! 4)I would ask question when i dont understand! Well my inquiry question was, why is important to learn about Athena and why do people worship her?. It was kind of easy since i already know a little bit about her background information from mythology class, but i still did not know why they worshiped her. Something that was difficult about the research was that it was hard taking what we wanted to know about and make it to an advertisement and trying to convince people to learn about our topics we were researching on. I felt like i found a decent amount of information to help me understand and help me answer my topic i was researching on. If i was to do this research again something different i would do is maybe pick a topic that i’m more interested in and then do a research on it. 1. My research was easy because i found all what i need in one website. 2. My research wasn’t so difficult because I know what i need to do and found what I need. 3. Yes because I found out why the seas was important to the Greeks. 4. I’ll improve my research by looking for more information from different sites and provide more information about my research. 1) my research was easy because I picked something that i was actually interested in so I wasn’t sitting there bored trying to research something that i didn’t really care about. 2)The difficult part of my research was there wasn’t the much documentation on Greek fashion. And also trying to figure out what was real and what was just someones opinion. 3)I think I found enough information but I think i could have found if given more time. 4)I would defiantly change the topic and do a lot more research i would also change the key words searching for stuff online.Also i would improve on my time management skills and use my time more productively. 1) What was easy about researching my inquiry question I’d have to say it was about who created the Nike logo because it was pretty straight forward. 2) Getting people to want to learn about Greek Mythology and trying to sell it to them was most difficult. 3) Some what yes and somewhat no. There were different kinds of information about my question but I thought that the right answer just never really popped up or using my common sense it didn’t really tell me anything but who created and why is was created. It didn’t really talk about what idea they got it from, it just told me that it just delt was a Greek goddess. 4) In the future i would like to use time management to fit in World History projects into my homework or project timings. I feel like I didn’t have much time to do this project and didn’t get it in on time. Also i would like to use more time to do the projects assigned instead of rushing it through. 1) My research was easy because I picked something that I was related to something that I was familiar with instead of picking something boring. 2) The part that was difficult for me was putting just a brief summary to get people interested in. There was so much to say and so little I wanted to write. 3) In my opinion I think I found enough information for my research because it’s something that was related to something that a huge deal in the world today. 4) In the future I would use my time more wisely for the next project like this instead of whining about what I couldn’t do. 4.i would look into it more. 1. What was easy about researching my inquiry question was using Google to research about the “trial of Socrates” and finding a good website that really explains it. 2.What was difficult was finding the important information. 3. I think i found enough information’s about my inquiry because there was a lot of details about it. 4. I think i would improve my research for a similar inquiry by having more time to do it. 1.The thing that was easy is the information looking because its easy to look for the information when you are given the website..
2.The difficult thing was that trying to find other information and facts way different from the info that I’ve got. 3.Well I did not find enough of the information because I was absent some days and haven’t been able to look up some extra information for it. 4.I would improve my research for a similar inquiry in the future by getting good advice from teachers and friends for some great info on what you are looking up on and ask for help for what ever i don’t understand..
1. It was pretty easy researching my question because there was a lot of information on the internet. 2. The most difficult problem we had was trying to find enough things to write about. 3. I think we found enough information, the websites we went to had lots of details about our inquiry. 4. We could improve our research by taking more time on our inquiry and writing more things about it. 1. What was easy about my inquiry question was, all the information that I needed to search for were on the websites that was given. 2. The most difficult part was making my animate video and deciding which important informaton would be better for my inquiry question. 3. I’m sure I found all the information that I needed for my question, because there are varies facts about it. 4. I think I would improve my research by using my time more wisely and concentrate more on my project instead of other things going on. 2.What was difficult was not knowing how to represent a advertisement with things from Greece . 3.Yes , because of the sources in Mr.W help . 4. I would look for more information & Use ma time wisely and ask more questions . 1. I’ve learned about Greek drama in English class before so, it didn’t take long for me to understand the subject. 2. It was difficult to summaries all the information without taking important things away from the research. 3. Yes, I found enough information on my inquiry question. 4. I would add more pictures with detailed captions, about what is going on in the pictures. 1) it was easy to researching about Greek cultures, because i learn more about Greek and their culture. 2) the difficult thing is the important information about. 3) yes, i did find a lots of thing the represent my inquiry questions. 4) i well research more into it. 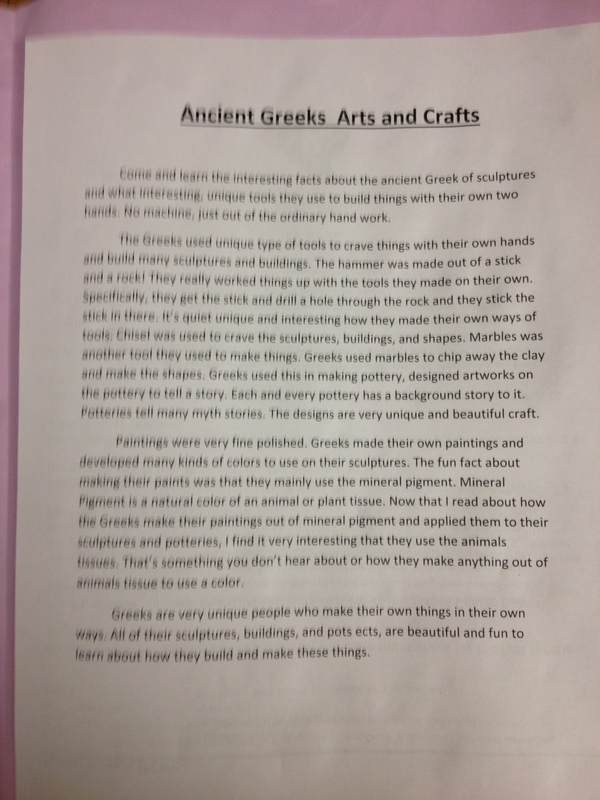 1-It was easy finding our inquiry question because it talked a lot about the structure of the Parthenon in the articles we read. 2-we had to read a lot to get specific answers but it wasn’t really hard to find them once we were done reading. 3- If i could change anything i would add more information and pictures to make the poster more interesting. 1.Looking on google for the answer and having a simple understanding question that i could understand. 2.Something that was difficult about my research. and i was looking for the answer and reading them long passages and then the answer was right.but then again it was really hard to find them. 3.no not really and because the the website that we were looking on didnt have alot of information that told us about it like it should have. 4.i would work alone and try to look up more research and i would like pictures and a didnt group.